Mali Mish – Day 2: Phoenix to Tucson, in the midst of the Gem Show. 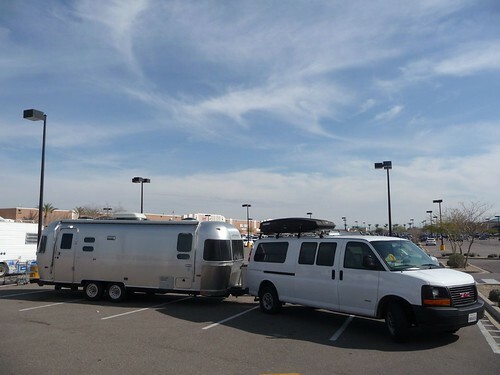 We woke up Friday morning in the parking lot of the Walmart in Tempe, AZ. We searched last night for a safe place in Phoenix before a drive to Tucson the next day. Since we had wanted to stop by Picacho, AZ on the way to Tucson, we decided we did not want to make the drive at night. The last couple of boon docking nights have revealed just how bad of shape our batteries are in. Each night, we are awoken by the clicking sound of our propane appliances trying to stay alive with the little electricity it needs to keep themselves running. The little amount of charges the batteries get from the van’s engine while we are in transit is either not enough or they have indeed breathed their last breath. Luckily for us, these last couple of nights in southern Arizona have been reasonably warm. We filled up one of our propane tanks at Flying J in Ehrenberg and it will be ready to rock once we get plugged into a hookup site. We walked across the street to CoCo’s for breakfast and realized that we are going to be experts in waffle house meals before this is all over. Thanks to Denny’s for introducing their Grand Slam breakfast that set the bar for the pancake breakfast values, now every restaurant seems to have a $4 pancake and eggs breakfast. Life is good. 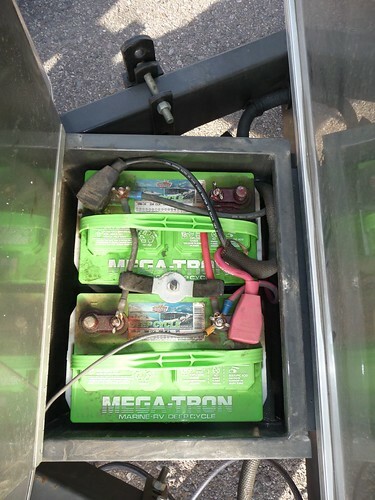 These deep cycle batteries on the other hand will get the boot once I had a chance to find decent replacements after we get settled in Tucson. On the way to Tucson, we wanted to spend a little time at Rooster Cogburn, an Ostrich farm we stopped at last year when we came here with the Airstream for the first time. 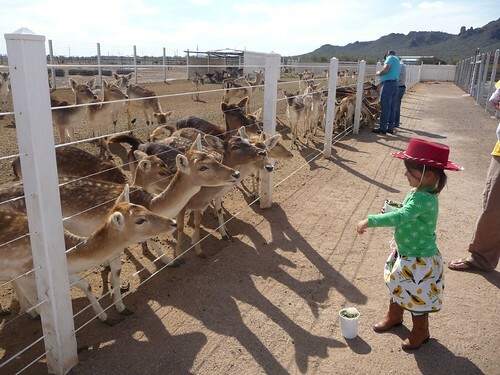 Ava had a great time feeding the animals and look for a separate post for more photos. As we headed towards Tucson, we called Catalina State Park, our usual spot when we come to visit. Apparently the Gem Show is in town. As it is one of the biggest events of the year for Tucson, their campsites are all booked. It was really surprising because the last 2 times we came down here, the place is more or less deserted. So we had to look around for an alternative campsite. On the recommendation of Airstream Life Magazine’s Rich Luhr, who we met last year when we visited and now makes his home in Tucson, we called Cactus Country RV Resort on the southeast end of town just past the Air Force Base. We booked a spot over the phone as we were driving into town to make sure we didn’t have to boon dock another night until we figure out the battery issue. 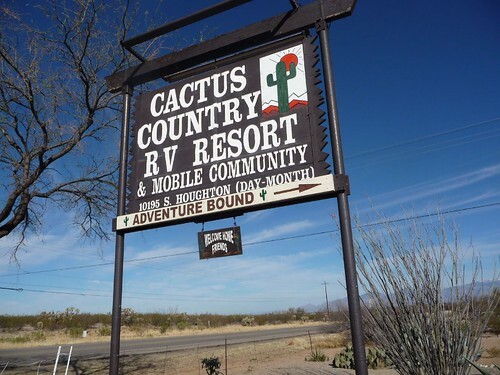 Cactus Country is a nice RV community with lots of snow birds that flooded into the southwest from all over the country as well as some who are full time residents of the community. We typically don’t stay at places like these since we stay closer to state and county parks with more natural surroundings. Any place with the word ‘resort’ in it tends to mean 55 and over. 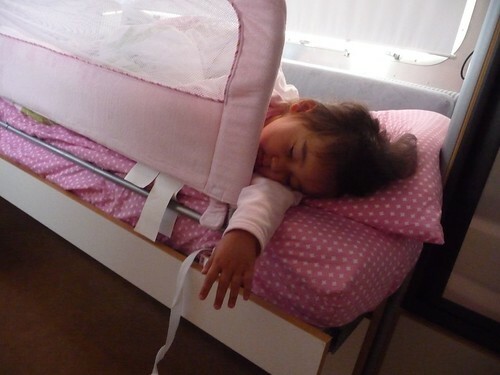 This one however does not age discriminate. We got a spot right across from the playground so Ava was very excited about that. 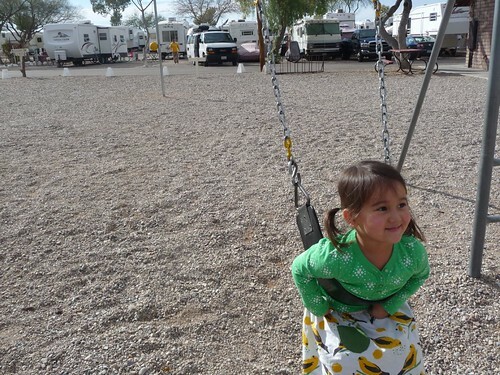 As I backed into the site, Ava couldn’t wait to get out of the van so she can hit the swings. These types of RV resorts are very convenient as they offer lots of amenities like laundry, store for RV supplies and lots of onsite activities. We even saw a swimming pool and spa that was open and we couldn’t help ourselves but to stick out hands in it to feel the water temperature. I mean, it is the middle of winter! A great deal of the country is covered in snow and ice. Could we possibly be lucky enough to swim in an outdoor pool in February? Well, you will have to wait and see. 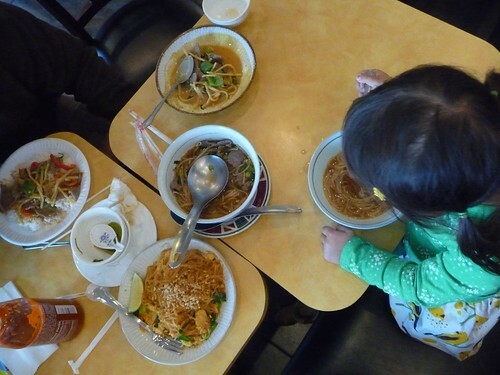 OK, we are off to do some grocery shopping and to stuff our faces with noodles! See you tomorrow!